We Did It, And So Can You! In our opinion, medical writing is the best profession for anyone who loves to write. And being a freelance medical writer is the best way to achieve your personal, professional, and financial goals! No career gives you more personal flexibility and professional challenge, plus the potential to earn more money than any staff job will ever pay you. 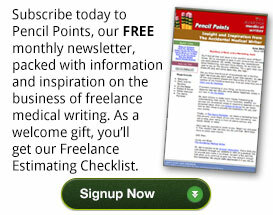 Freelance medical writers come from all walks of life. We’re scientists and medical researchers, journalism and communications majors. We hold degrees from basic BAs to PhDs and advanced medical degrees. 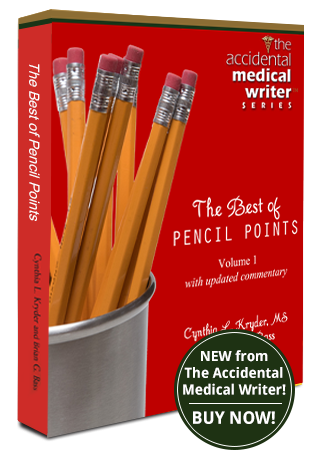 We all have one thing in common: we came to be medical writers accidentally. 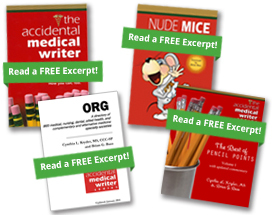 The Accidental Medical Writer will give you the insights, information, and inspiration you need to become a successful freelance medical writer. Our books, free monthly newsletter, articles, seminars, and workshops are filled with helpful tools and will give you confidence—whether you’re a seasoned professional or just getting started. We invite you to explore our website, join our mailing list, and take advantage of everything we have to offer!